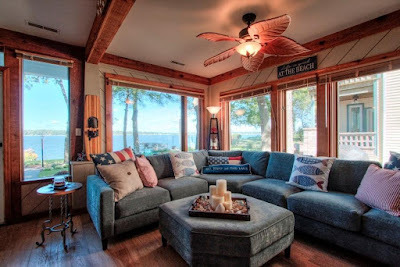 While it is great to share a lakefront home with family and friends, packing as many as you can on the pull-out couch and extra futon, there are times when we need to decompress. Times when a little solitude is called for and a time to retreat. 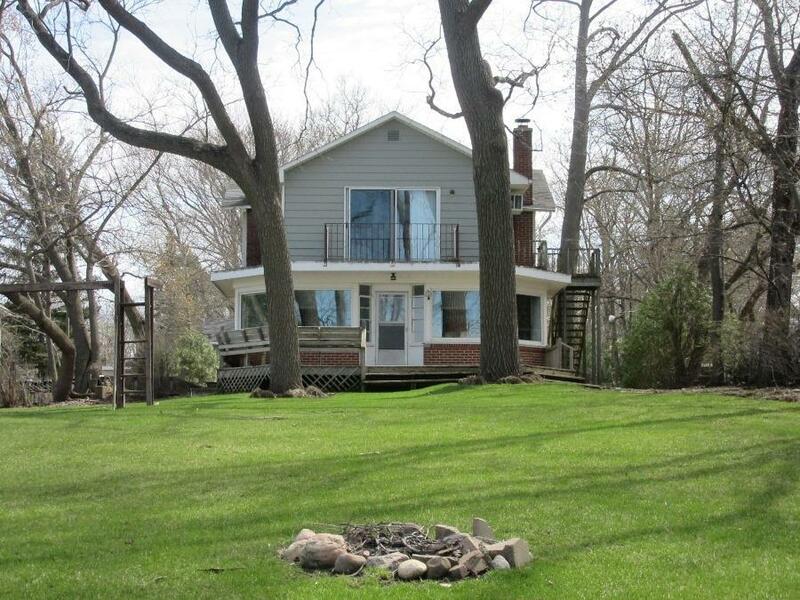 Main home at 2666 Willow Point Drive with wrap around front deck. 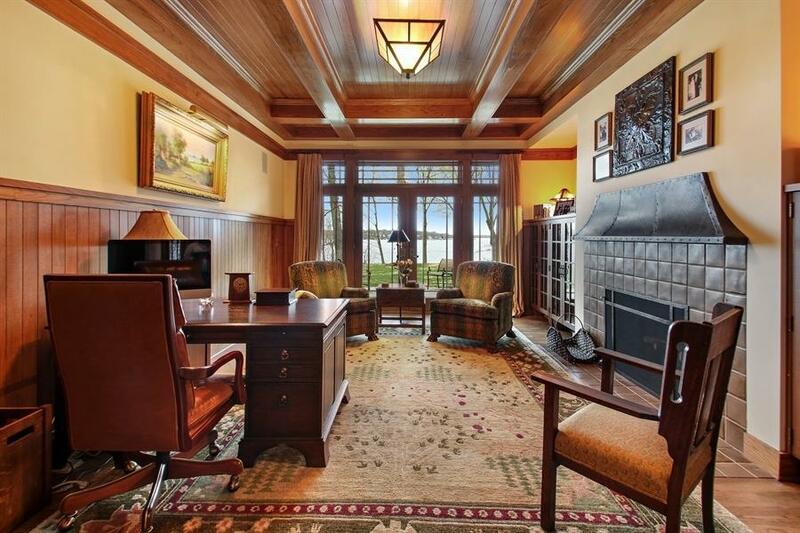 The latest Delavan Lakefront Property offers the best of both of these worlds. 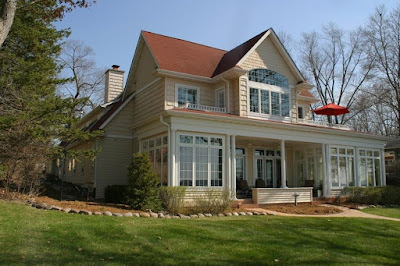 With a centerpiece home on the north shore of the lake, featuring a first floor master suite and expansive enclosed front porch, this unique property also has two other homes for both guests and get-away space. Enclosed front porch on the main home. Listed for $1.499 million, the latest lakefront is located at 2666 Willow Point Drive, a private road that is just off of North Shore Drive. 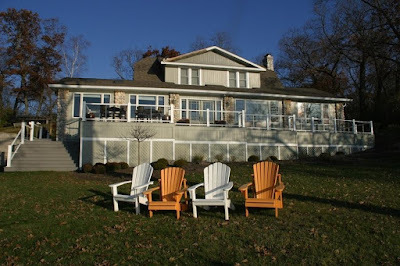 Although building codes do not permit the construction of multiple homes on the same lot, this unique set up is "grandfathered" in and creates one of the most unique opportunities on Delavan Lake. The lakefront lot itself is pie shaped with 83 feet of lakefront and 275 feet of road frontage. 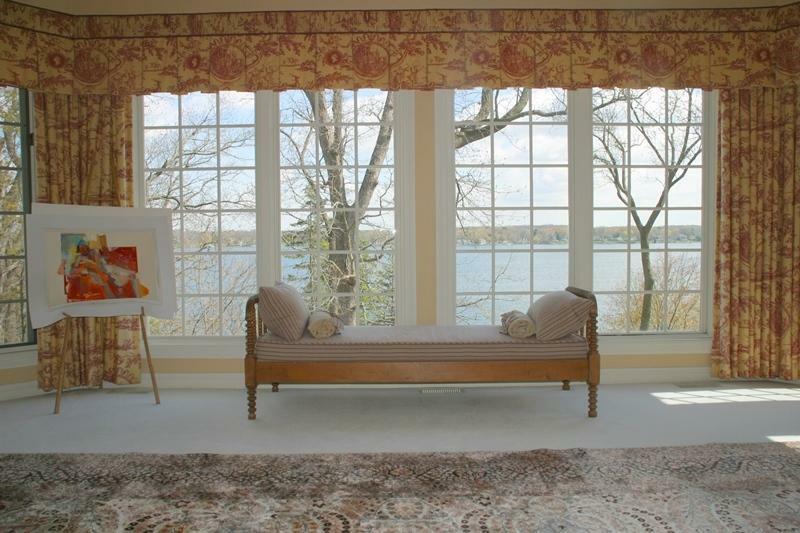 Slightly sloped, the property offers views of the water from all three homes. In the center of the property is a shared green space with room for games and midnight star gazing. The four bedroom main home is a newer cape cod style with both a front deck and enclosed front porch spanning the entire length of the lake side. On the main floor are two family room spaces, one off the expansive brick patio and another in the center of the house. The kitchen is functional and open with maple cabinets, a breakfast bar and views of the water. 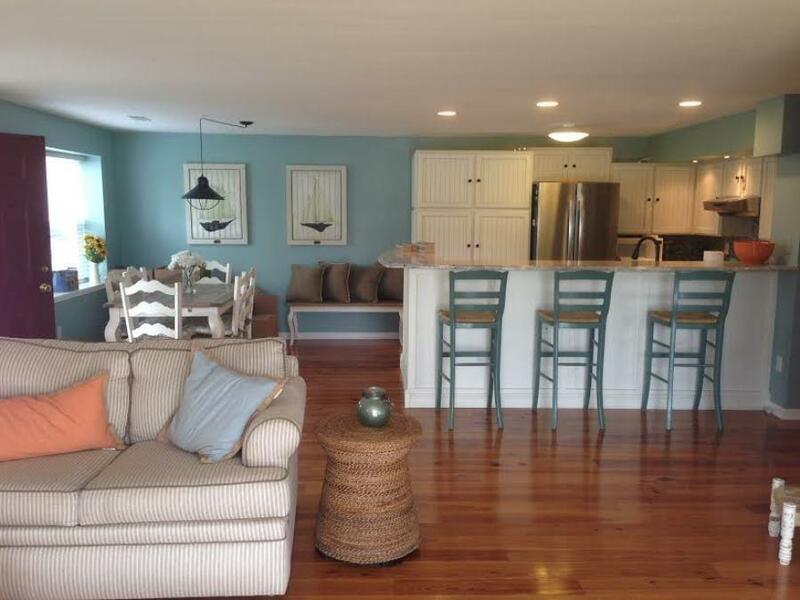 Off the enclosed porch is a small wet bar and multiple access points to the waterfront deck. 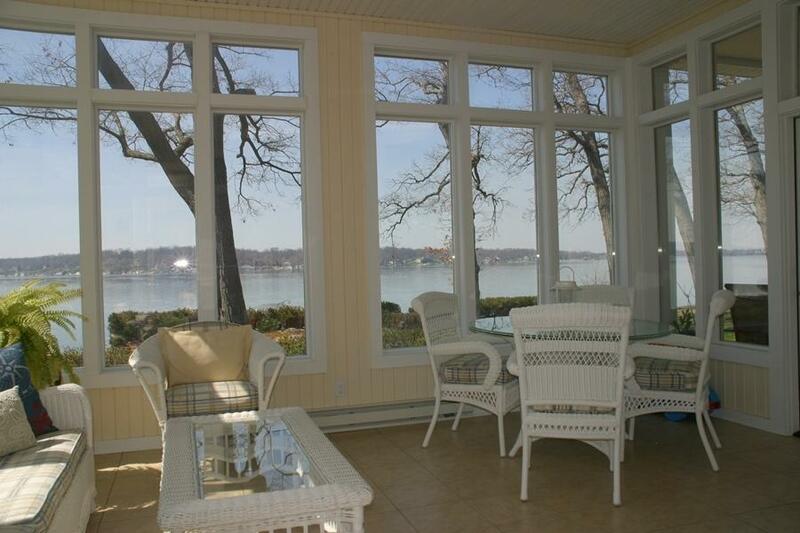 Expansive patio space off the main house overlooks Delavan Lake. Behind the main home, yet still offering views of Delavan Lake, are the guest quarters. Generous in size, the second house features five bedrooms, three baths and an open floor plan. This structure also has a three-car attached garage, walk-out lower level and a master suite with gas fireplace. Master bedroom in the guest house with gas fireplace and lake views. As a place of retreat, there is a two bedroom cottage at the rear of the property. 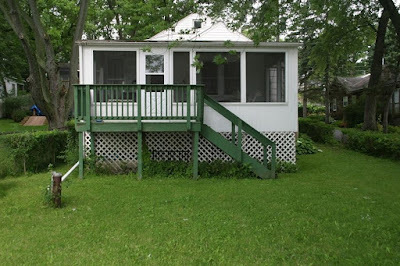 Perfect for meditation, night owls or unexpected guests, this bungalow has its own lakeside deck and parking area. 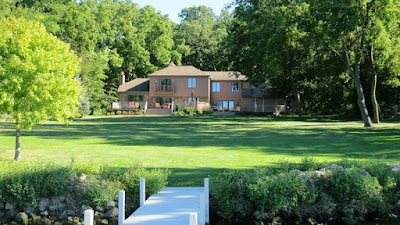 The end of the year often brings some price reductions to Delavan lakefront homes as well as Delavan lake access properties. This year is no exception with four lakefront homes taking action and one lake access property dropping the offering price by 10 percent. The lake access property adjusting the offering price is located at 2218 South Shore Drive. This unique property consists of a three bedroom brick ranch on one side of the road and ten feet of lakefront on the other. 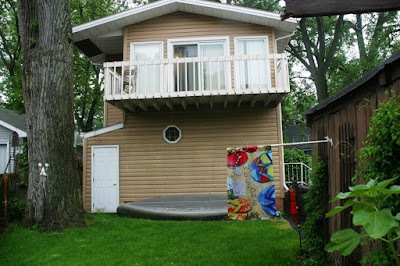 The family that enjoyed this home has had their private pier on the ten foot section giving them a prime spot to keep their motor boat. Originally listed for $330,000, the owners have reduced the price down to $299,900 making this an affordable full-time residence or summer get-away. The main body listing price reductions include a compact four-bedroom on 40 feet of South Shore frontage that has been adjusted to $564,000 from $585,000. 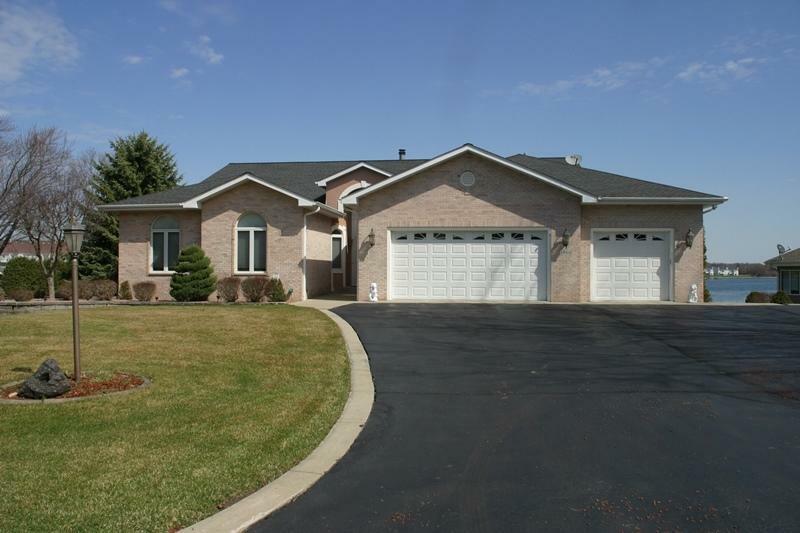 The property has a clean lake feel with a first floor bedroom, great room and open concept kitchen. 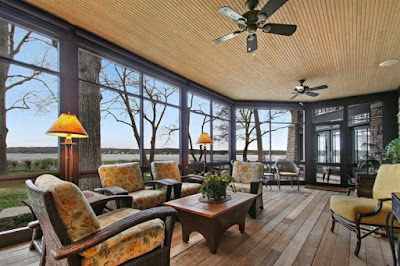 The covered porch is an ideal place to enjoy the lake activity and sunsets. 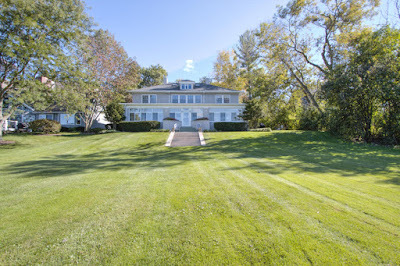 Over at 2524 North Shore Drive is a four bedroom on 80 feet of frontage that has been brought down to $765,000 from an initial list of $859,000. This property blends old with new as the front room enjoys the charm of leaded glass windows, bead board and wood beams while the back of the house has been renovated to include a larger kitchen area and family room with wood burning stove. Willow Point has an offering at $869,000 that has been reduced from a starting price of $1,095,000. This property has 100 feet of frontage and three levels that face out to the water. The final reduction is located at 3307 South Shore Drive. 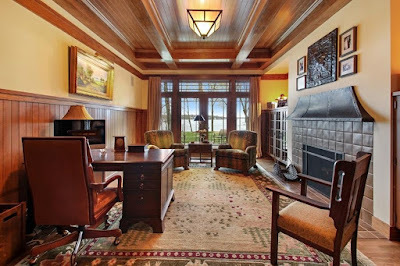 This magnificent prairie-style home is set on 3.7 wooded acres, has 200 feet of frontage, six bedrooms, eight baths, spacious first floor master suite, five fireplaces, billiard room and theater room. It initially came on the market for $3.4 million and has now been adjusted to $2,950,000. There was little change year over year in sales activity on Delavan Lake for the first nine months of the year. Inventory has held relatively constant and sellers are staying firm on prices. Over the first nine months of 2015, there were 12 lakefront properties sold and 31 lake access properties sold. Last year there were 13 lakefronts sold and 31 lake access properties sold by the end of September. The lake access properties that sold this year ranged from a $50,000 two-bedroom cottage in the Delmar Subdivision to a $425,000 five-bedroom, three-bath in Assembly Park featuring a large front porch and lot. The highest and lowest sales were in the same subdivisions last year. Lakefronts sales ranged from $242,500 for a three-bedroom home on the Inlet to a $1,599,000 four-bedroom, three-bath North Shore estate that included 150 feet of level frontage and a boathouse with a rooftop patio. There have been 13 Delavan Lake condo sales so far this year compared to 15 last year. Sales ranged from a $40,000 condo/hotel unit in the Lake Lawn Resort to a $220,000 three-bedroom, three-bath, unit in Delavan Club. 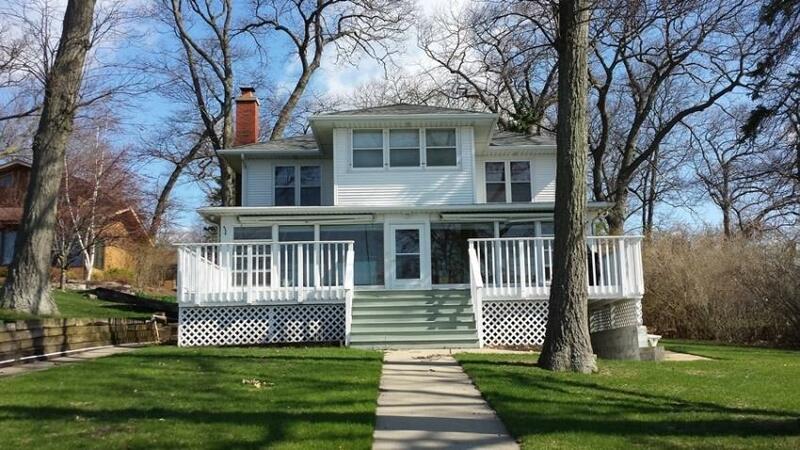 There are 66 single family homes on the market with lakefront or lake access on Delavan Lake. This is down from last year’s number of 73 homes for sale and 89 in 2013. List prices of lake access properties start at $63,500 for a two-bedroom rental on Fleming Drive and increase to $329,000 for a four-bedroom, three-bath, vacation home in the Delavan Highlands. Lakefront homes on the main body of the lake start at $299,000 for a one-bedroom cottage off of Brown’s Channel Point and increase to $2,950,000 for a five-bedroom, estate on 200 feet of South Shore frontage. There are currently 20 condominium units for sale, which is up from 17 last year. The properties range from a $49,500 one-bedroom condo/hotel in Delavan Lake Resort to $295,000 for a three-bedroom, two-bath Garden unit in Geneva Landings. The best value condo is located at 1525 Delavan Club Drive. Listed at $227,500, this two-bedroom, three-bath unit is being sold furnished and includes lake views from all three levels and a private master bedroom balcony. 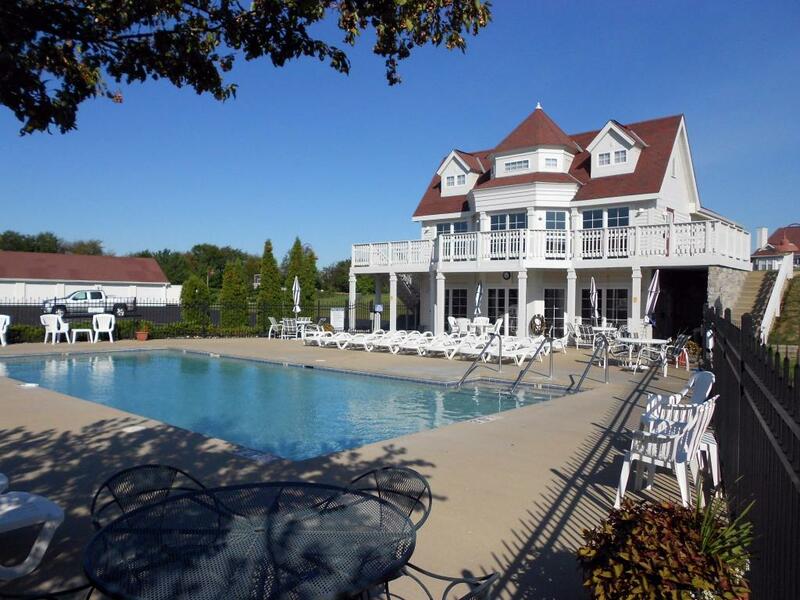 The complex comes with a pier, boat launch, swimming pool, tennis courts and club house. 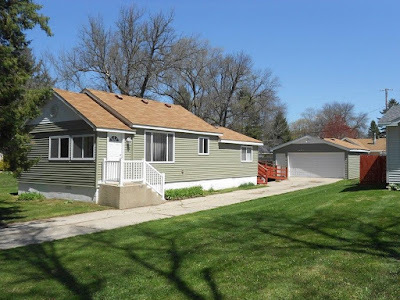 The best value for a Delavan lakefront is located at 1531 Cedar Point Drive. 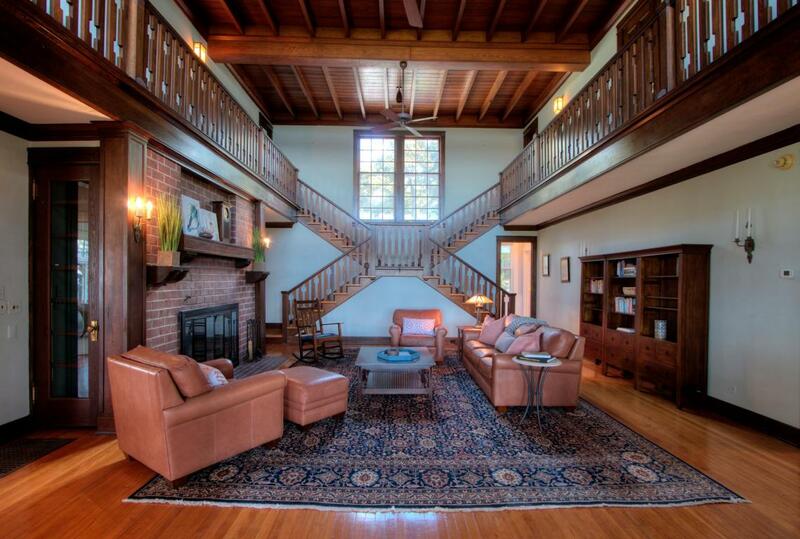 This seven-bedroom, five-bath home is listed for only $799,000. The home has 60 feet of private lakefront, spacious enclosed front porch, natural fireplace, walk out basement and over-sized garage. 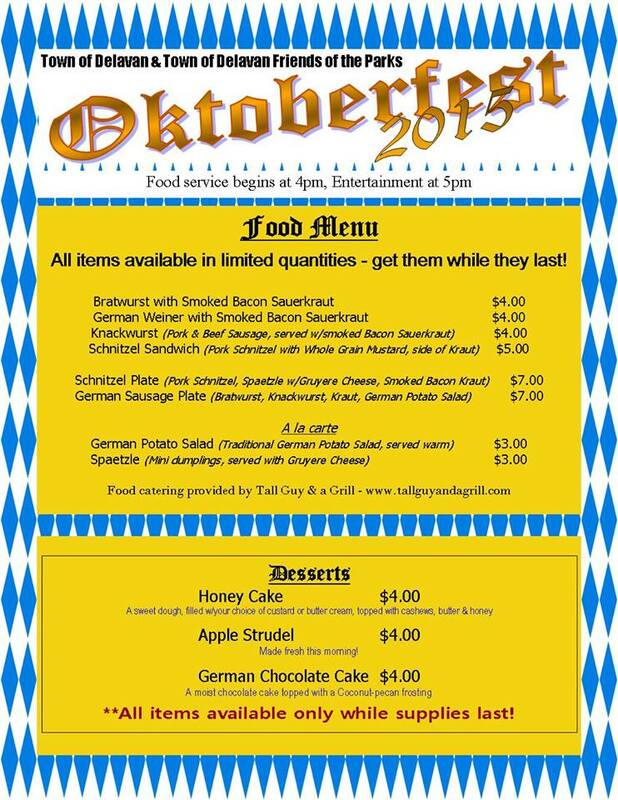 Delavan Lake will be celebrating Oktoberfest this year on October 24, 2015 at the Town of Delavan Community Park. The event will be held from 4:00 to 8:00 pm and will feature German food, drink and entertainment. There is no admission charge to the event and all ages are welcome. The Town of Delavan Community Park is located at the corner of Hwy 50 and South Shore Drive on Delavan Lake. 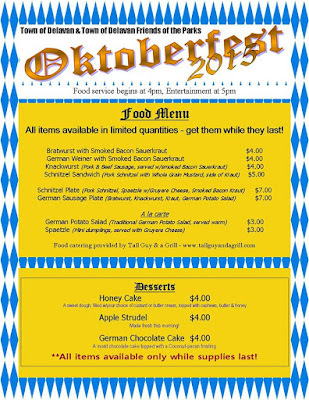 A variety of German food will be available for purchase throughout the evening along with a selection of German deserts and German beer and wine. Soft drinks will also be available along with coffee. The main entertainment will be The Steve Meisner Band. The music will start at 5:00 pm and include polka favorites that everyone can enjoy. This year's Halloween activities will feature a Children's Halloween Costume Party on Sunday, October 25. The party will be held from 3:00 to 5:00 pm at the Town of Delavan Community Park. Activities at this year's event include; hayrides, a magician, children's games, costume contest, snacks, candy and a clown. The event is free of charge and all children are welcome. Oktoberfest and the Halloween Party are sponsored by The Town of Delavan Friends of the Parks, Shodeen Homes, Reeds Marine, Lake Lawn Resort, DelavanLakeProperty.com, Mercy Health Systems and Miller Lite. 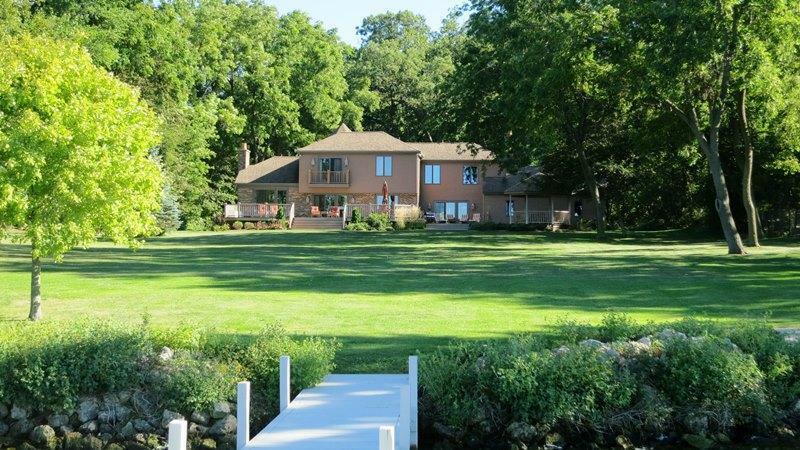 As the season changes to fall, it is interesting to see what are the five most expensive homes listed for sale on Delavan Lake. 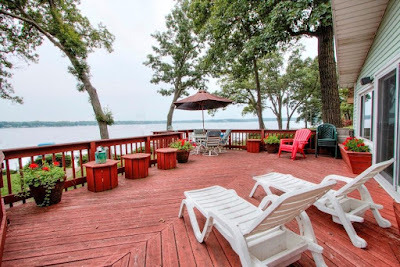 With over 2,000 acres of recreation space, Delavan Lake is an all-sport lake in Walworth County, WI that is less than two hours from Chicago, Milwaukee, and Madison, WI. #1 - The most expensive listing currently available on Delavan Lake is located at 2938 North Shore Drive. Listed at $3.3 million, the home sits on 410 feet of steep frontage and boasts one of the most elaborate wine cellars in North America. #2 - Coming in at number 2 is 3307 South Shore Drive. Almost directly across the lake from the first home, this 10,000 square foot estate is listed for $2.95 million and includes six bedrooms, eight bathrooms and 200 feet of lakefront. #3 - Listed for $1.99 million is 2501 South Shore Drive. 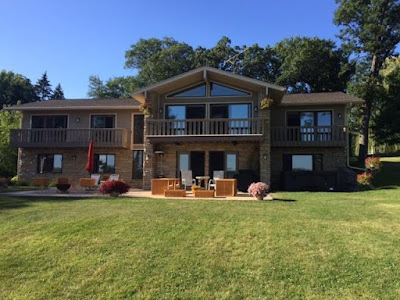 A custom built home offering 126 feet of lakefront, this property features a walkout lower level and expansive lake views. 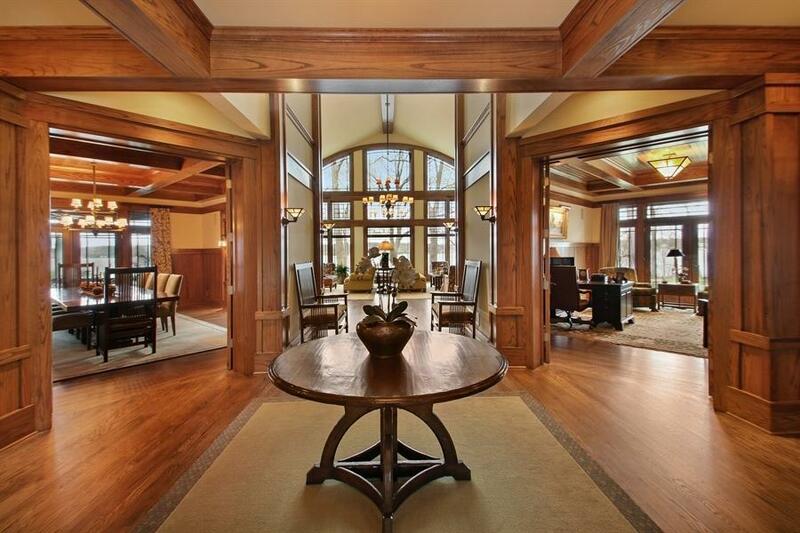 #4 - New the market this week is 3105 South Shore Drive, which also has a price of $1.99 million. With 5,000 square feet of living space and nearly five acres of real estate, this five bedroom, seven bath home is a trophy property. Included are 121 feet of level frontage, in-ground swimming pool, and lakefront patio. Click here to take a video tour of this home. 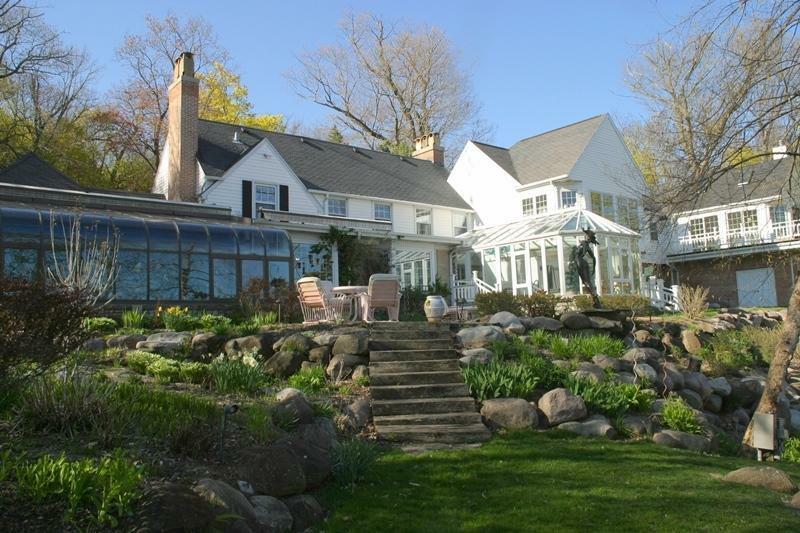 #5 - The fifth most expensive property on Delavan Lake is located at 2329 South Shore Drive and is listed for $1.265 million. With only 50 feet of lakefront and sitting next to a sanitary district lift station, the property is asking a rich premium compared to other offerings. 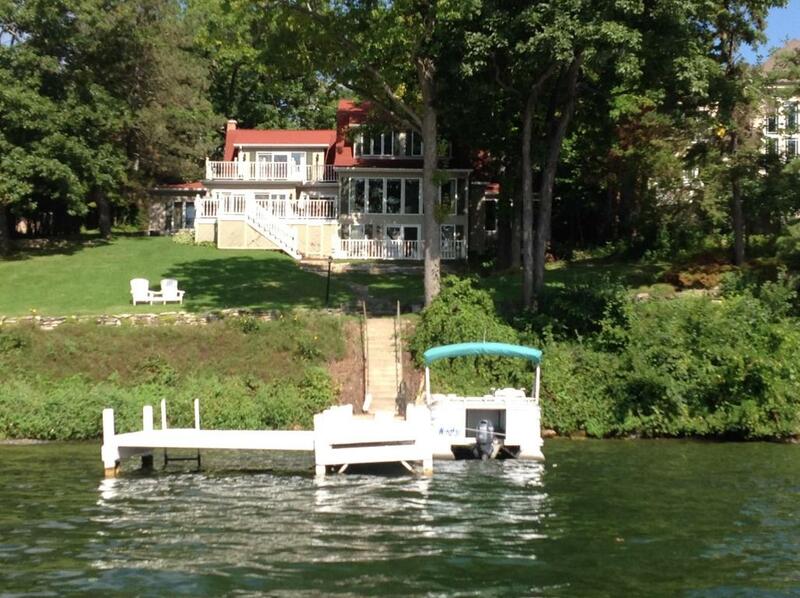 Two new listings are adding some nice inventory to the current offerings on Delavan Lake. Coming in at the sweet spot pricing of between $800,000 and $1.1 million, one of the homes is located on the North Shore, with the other on the South Shore. Listed for $890,000, the home at 2906 Borg Road comfortably rests between one newly constructed lakefront and a renovated show-piece along the North Shore. The property features 63 feet of level frontage, a large waterfront deck off the great room, four gracious bedrooms, three baths and about 3,200 square feet of living space. 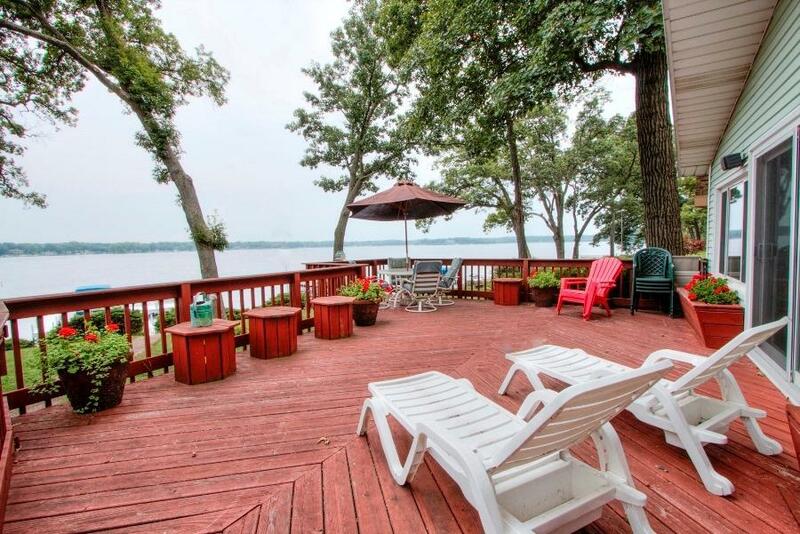 View from 2906 Borg Road, Delavan Lake. 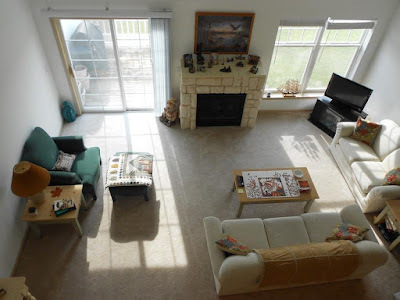 Set up for entertaining, there is a front and back great room, each with a natural fireplace complimented with a spacious kitchen between the two. 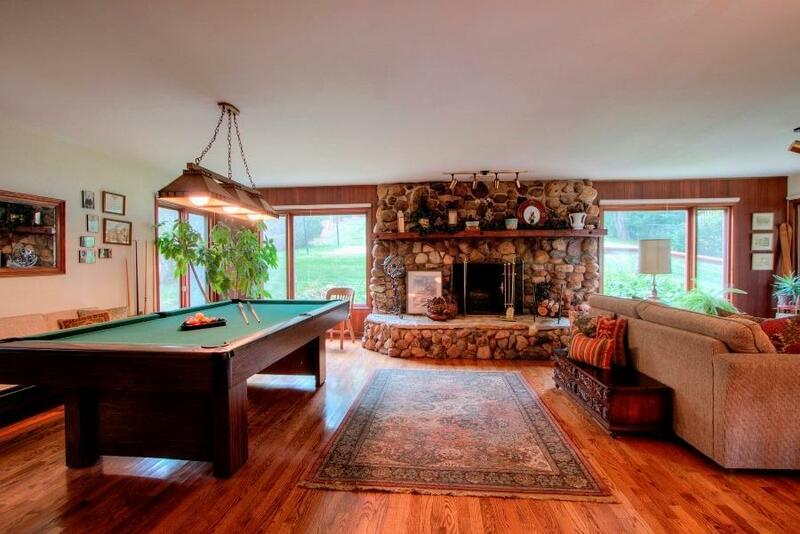 The back great room, closest to the road, is more rustic and North Woods with its field stone fireplace, wood flooring and billiards area. Back great room at 2906 Borg road with wood floors and stone fireplace. The front great room, looks right out to the water, with openings to the open air deck and views of the west end of Delavan Lake. Uniquely adjacent to the front great room is an alcove that contains an indoor hot tub. Located just off the second fireplace, one can imagine watching the winter snow fall with the fire roaring in the background. Front great room with walk out to the spacious lakefront deck. 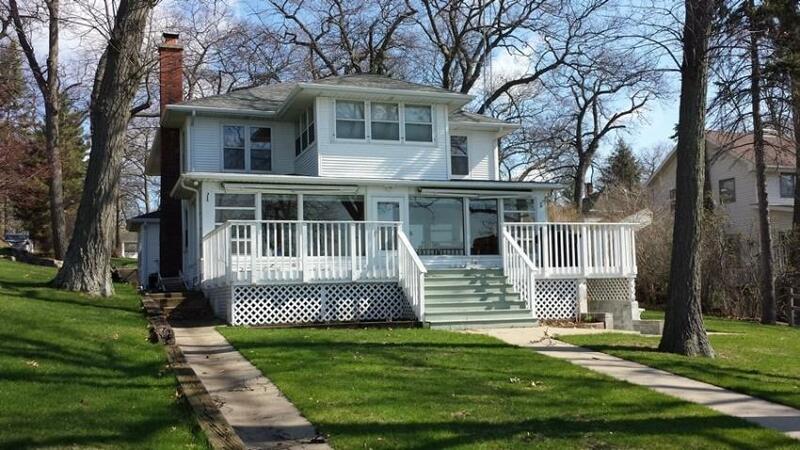 On the South Shore, the newest listing is at 1923 South Shore Drive. This five bedroom, three bath lakefront has been updated on all levels with new wood floors throughout the main floor, plush carpeting and decorating on the second. 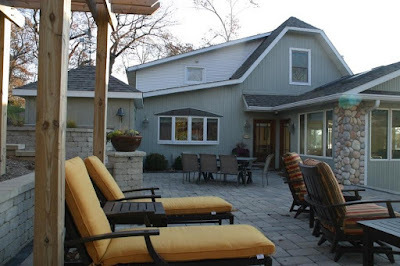 The property features four outside entertaining areas as well as an open concept great room that leads into a sun room that takes in views of the entire lake. 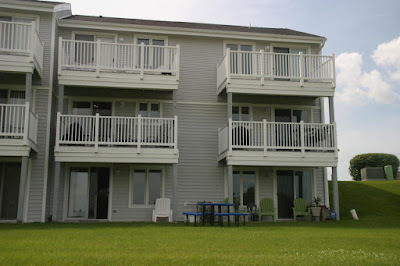 The outside areas include a rear deck area, front patio space, boathouse deck and seawall patio. From the top of the boat house, the views make you feel as though you can wrap your arms around the expanse of the lake. Listed at $1,069,000, the property also has a lakeside master suite with a private balcony overlooking the water. 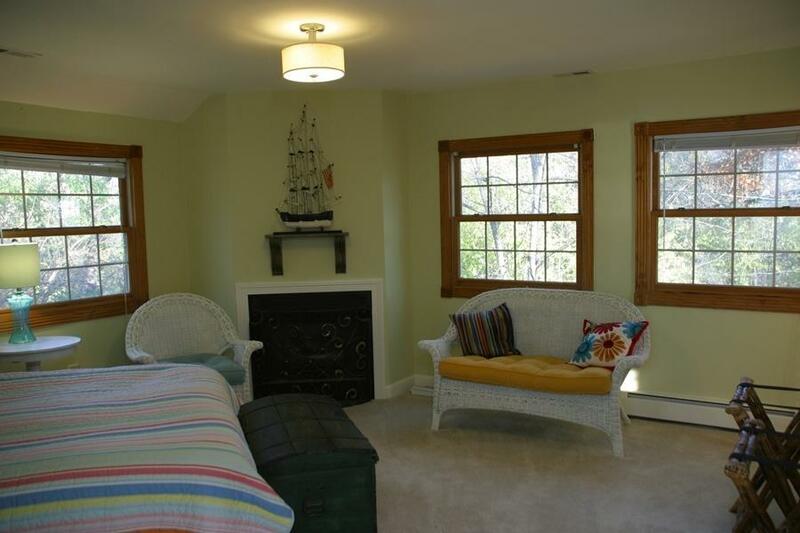 The master also enjoys two bay windows and a vaulted ceiling that makes this a true get-away space. Master suite private balcony at 1923 South Shore Drive, Delavan Lake. 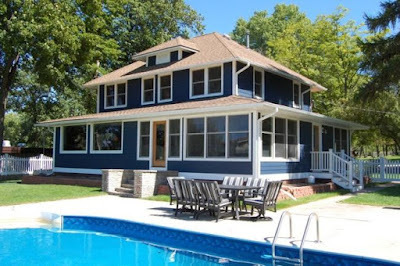 As usual, the end of the summer season brings some nice price reductions on lake homes in the area. 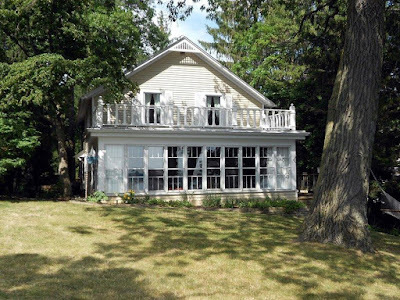 Delavan Lake is no exception with reductions being seen in across the board from lake cottages and condos to massive lakefront estates. Let's start with the massive. 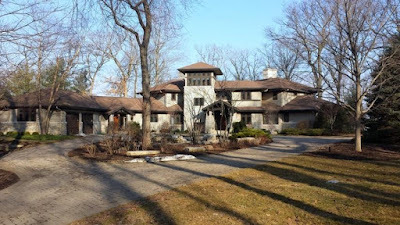 Located at 3307 South Shore Drive, is the estate of a former Sears Roebuck and Co. executive, designed and built for the family as a private retreat. The home is perched on 200 feet of frontage and boasts six bedrooms, eight baths and 10,000 square feet of living space. Originally offered for $3.4 million, the home has been recently reduced to $2.95 million. On the other side of the lake, is 1531 Cedar Point Drive. 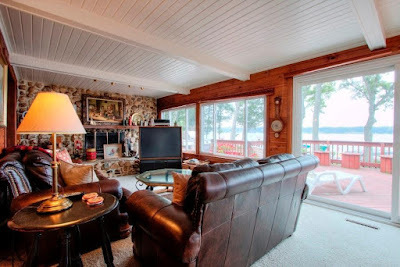 This North Shore property has 60 feet of frontage, has a classic lake home feel and offers six bedrooms and five baths. The front porch takes in panoramic views of the lake and opens up to a spacious deck area. The property started on the market at $849,500 and has now been reduced to $799,000. Condominiums on the water are also seeing some price adjustments. 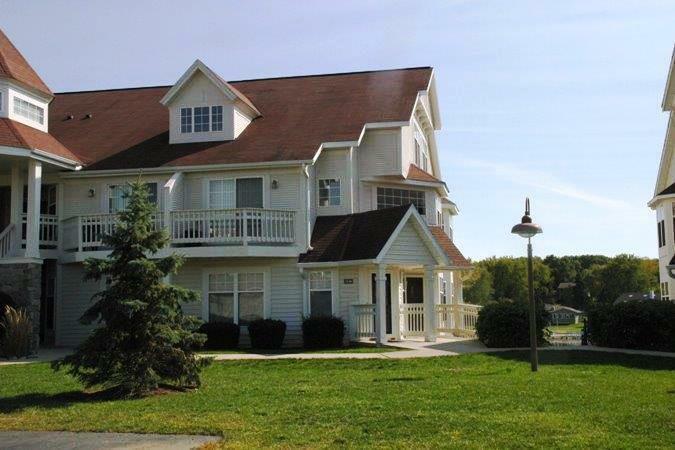 One in the Geneva Landings complex, located at 2124 Landings Lane has just been reduced to $224,900. After coming on the market at $229,000 the owners of this two bedroom, two bath unit made the small concession. 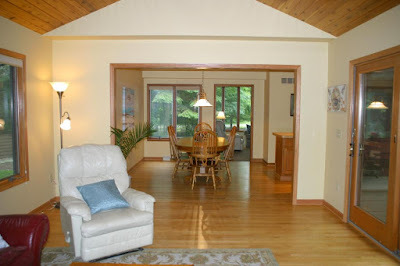 The unit has a gas fireplace, vaulted ceilings and a lakeside deck. Views from the upper level of 2124 Landings Lane looking towards the waterfront deck. The most affordable home with a boat slip on Delavan Lake is now at 4005 Maple Lane in the Ravenswood Subdivision. This lake cottage has three bedrooms, one bath and is now listed for only $115,000 after coming on the market for $129,000. The new owners will enjoy the screened in front porch with lake views and breezes of this seasonal escape. The real estate market around Delavan Lake showed signs of strength in the first half of 2015 as the overall economy improved and interest rates remained low. Over the first half of the year, there were seven lakefront properties sold and 20 lake access properties sold. 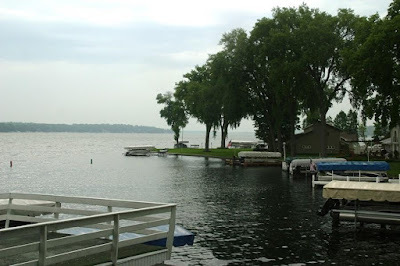 This compares to four lakefronts sold by this time in 2014 and 20 lake access properties sold. 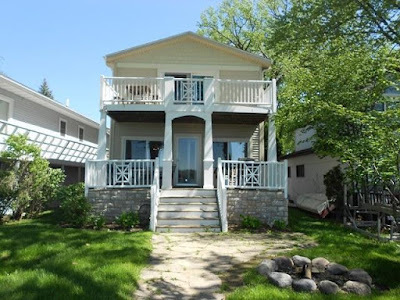 The range of homes on the water spanned from a $210,000, four bedroom, two bath bungalow located on Browns Channel to an elegant six bedroom, eight bath Victorian on the North Shore that changed hands for $1.35 million. Lake access condo sales are down slightly with eight units sold in the first half of 2015 compared to nine that sold by this time last year. Prices ranged from a $43,000 two bedroom condo/hotel unit to a $214,700 two bedroom, two bath lakefront unit in Geneva Landings. 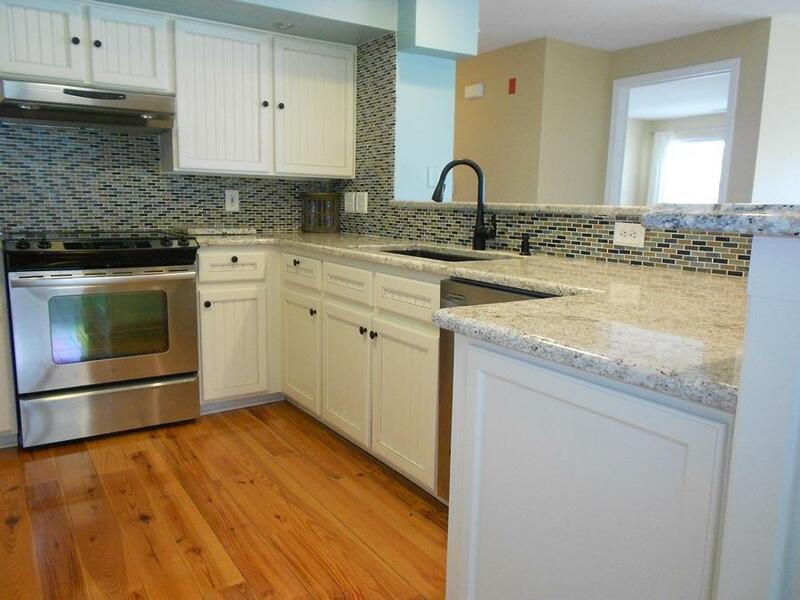 Recent two bedroom sale in Geneva Landings for $214,700. 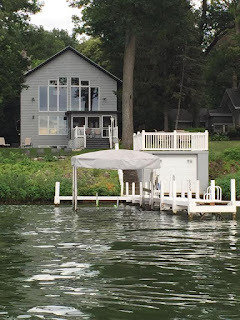 Inventory is up slightly for lake properties with 83 homes on the market with lake frontage or lake access compared to 71 at this time last year. Prices range from $68,000 for a two bedroom, one bath cottage in the Delmar Subdivision off of South Shore Drive to $3.4 million for a six bedroom, eight bath estate on 200 feet of frontage on South Shore. 12 of the homes listed for sale already have accepted offers. Interior view of 3307 South Shore Drive, Delavan Lake. Offered at $3.4 million. The number of condo units available for sales has grown dramatically with 29 lake access condos being offered compared to only 18 at this time last year. The units available range from $65,000 for a condo/hotel unit to $399,000 for a remodeled four bedroom stand alone unit in the Windtree Association that includes a deep water boat slip and waterfront deck. 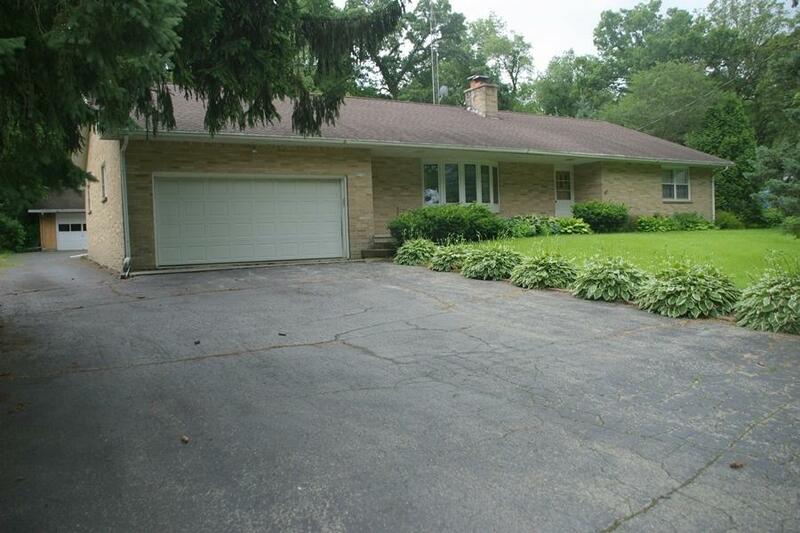 Spacious interior of 1600 Windtree Lane offered for $399,000. The best values for condos are in the Delavan Club Complex. Right now there are four one bedroom units offered, all for around $139,000. This association includes a swimming pool, club house, boat launch, tennis courts, basketball court, sauna, steam room and additional amenities that make lake life alluring. The best value for a lake access home is at 2816 Mabie Street. 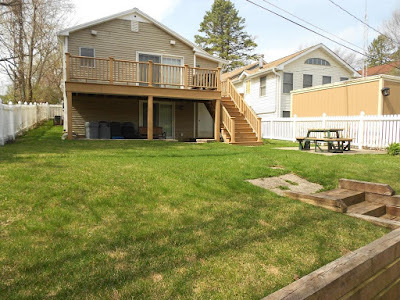 Listed for $129,900, this three bedroom property includes new laminate flooring, a large 2.5 car garage, spacious yard and lake rights of a swimming pier, boat launch, beach and two parks. Lake access home at 2816 Mabie Street ready for summer activity. The best value lakefront home on Delavan is located at 4146 Blue Gill Road. 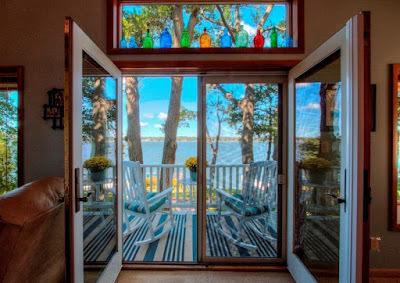 This three bedroom, three bath waterfront has 50 feet of private frontage, a large deck off an enclosed porch, first floor master suite and multiple entertaining areas. Offered at only $489,000, this property has more for the owner than some that are priced over $100,000 higher. 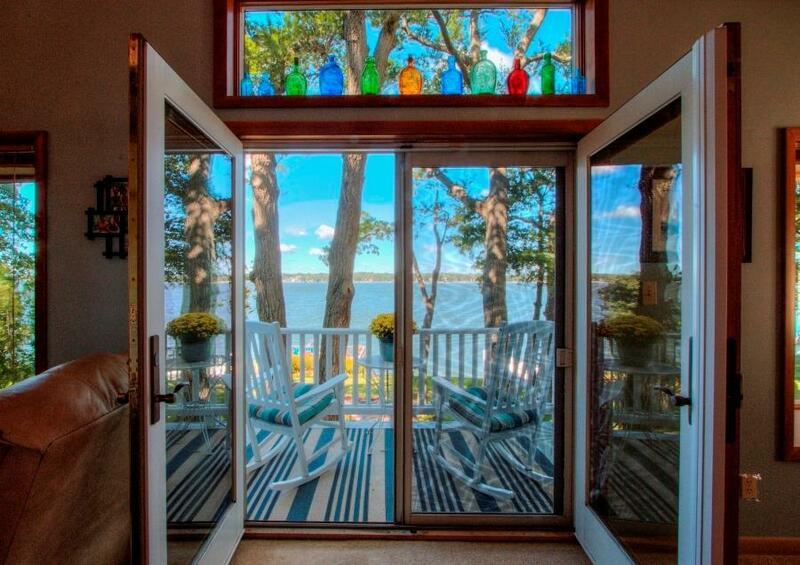 The view from the enclosed porch at 4146 Blue Gill takes in the entire lake. 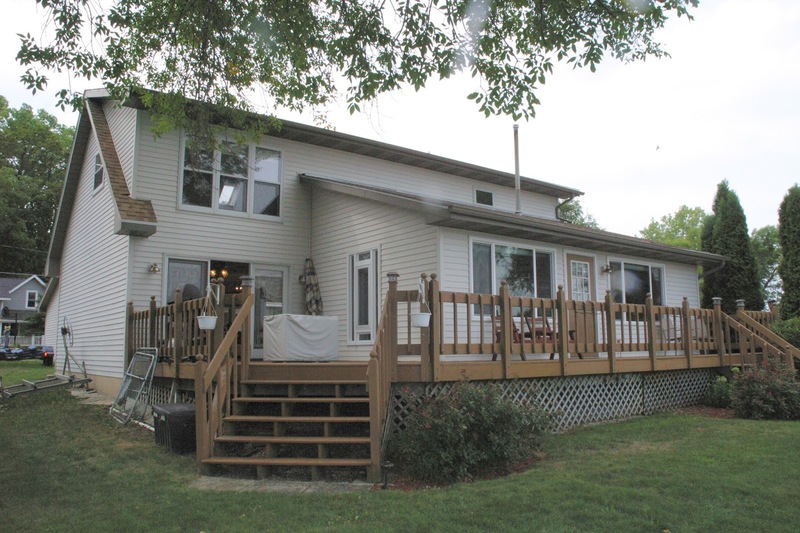 4146 Blue Gill with wrap around front deck overlooking the water. 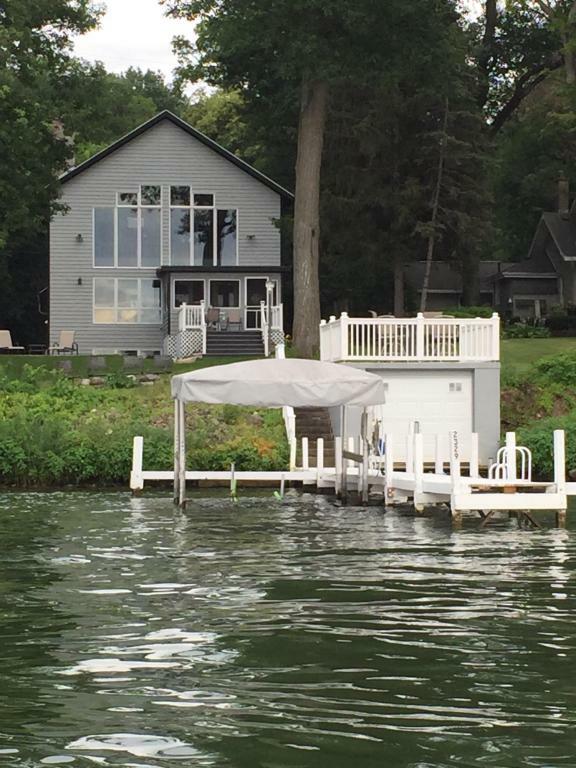 With the sale of two new lakefront homes on Delavan Lake this month, prices are showing upward pressure not seen since 2007. That is not to say that prices have returned to the market highs, just that we are seeing solid support for quality homes on the water. 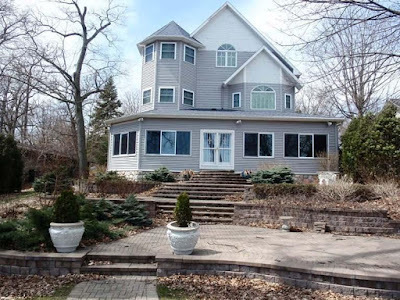 The last two sales include a stunning five-bedroom East Coast-style water front property with sweeping views of the entire lake and architectural input that can be felt from nearly every room. This home was designed for the lake with multiple entertaining spaces that look out on the water and flow from one to the next. The main level greets guests with an open great room, formal dining area, gourmet kitchen and living room all looking towards Delavan Lake. Each bedroom is a separate suite with a private bath. The master suite includes two separate walk in closets, two lakefront balconies, garden tub, walk-in shower and cathedral ceiling. Listed for $1,595,000 the home sold for $1,440,000. While only on 63 feet of frontage, the property also featured two separate garages, outfitted with electric car charging stations, an over-sized pier system, and a separate sail room for storage of yachting supplies. The second sale was located at 3525 South Shore Drive and included 166 feet of level, prime lakefront. This was one of the largest lakefront parcels sold in the last five years. The four bedroom Tudor was listed for $1,495,000 and sold for $1,350,000. The property encompassed two tax parcels and 2.31 acres of land. Every element of this home was in excellent condition with all bedrooms sporting lake views and a massive waterfront deck and gazebo just begging for guests to come visit. As has been seen around the country, prices and sales have gained momentum around Delavan Lake. There are now seven properties with water frontage that have sold and five more under contract. With only 23 waterfront properties left in inventory, this is also putting some upward pressure on prices. The most recent sales around the lake include a four bedroom remodeled two-story along Browns Channel. Listed at $220,000 the owners held out for a solid $210,000 purchase price. 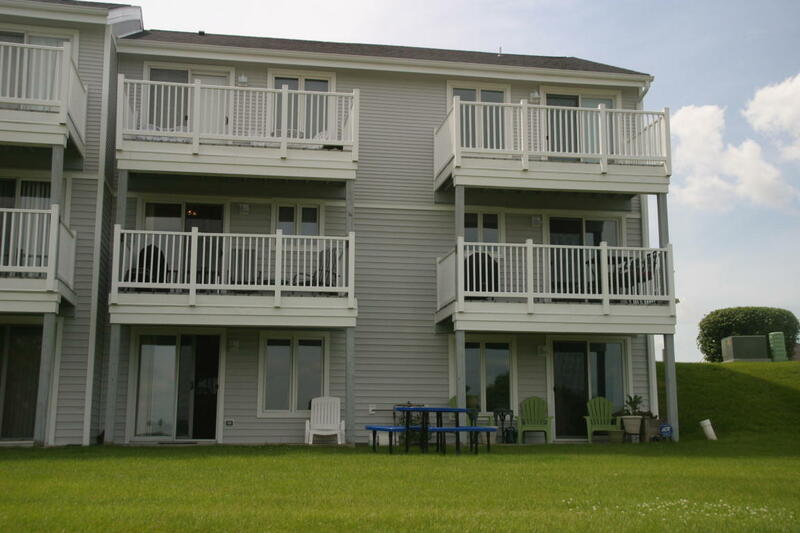 The property features a large waterfront deck and walk out lower level. Recent sale on Browns Channel with walk out lower level. On the main body, three sales in the last month included two on the South Shore and one on the North Shore. The South Shore homes featured a stately Colonial on 75 feet of frontage with manicured gardens and a lakeside master suite with private balcony. Listed at $1,295,000 the home sold for $1 million with additional dollars being allocated to personal property. Also on the South Shore was a renovated compound on 100 feet of frontage next to the community park. The property included a four-bedroom home, lake side swimming pool, garage with apartment and a lakefront cabana complete with bar, fireplace and half bath. A unique property expertly remodeled by the owners, the home listed for $1,050,000 and sold for $1,025,000. 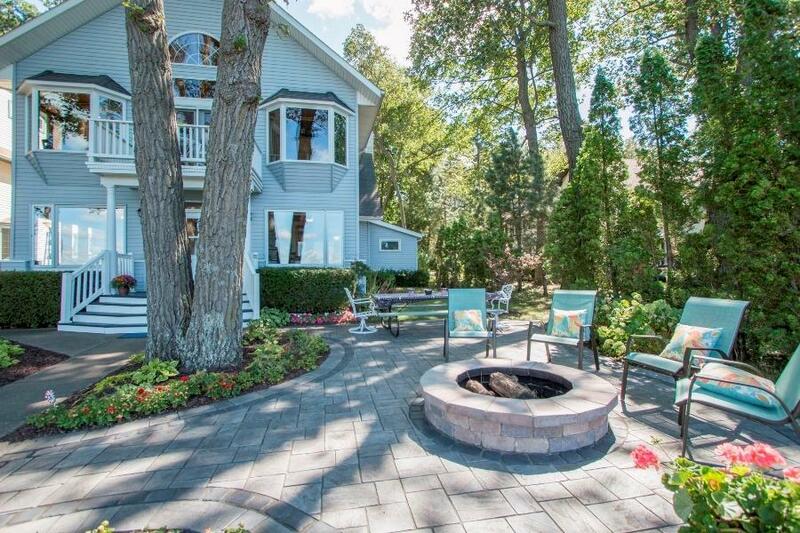 Renovated South Shore compound with lake side pool and waterfront deck. 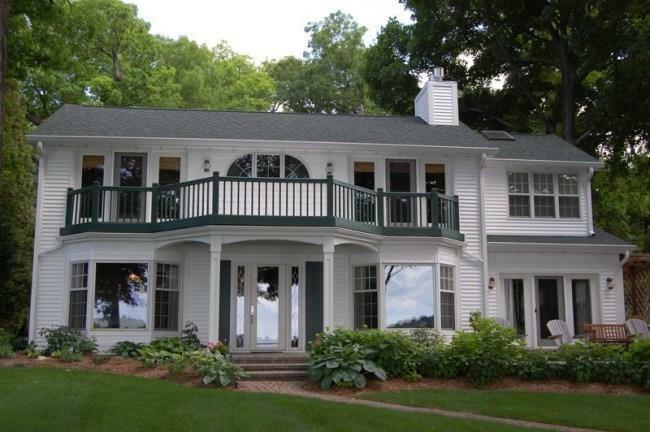 The North Shore sale topped the price point for sales on the lake this year. Wedged into 67 feet of frontage, this six-bedroom Victorian comes off more as a museum than a lake house. Its inlaid floors, Kohler fixtures and granite are all of excellent quality, however, the home is situated next to rows of cottages and lacks the lakefront that a 6,000 square foot home deserves. 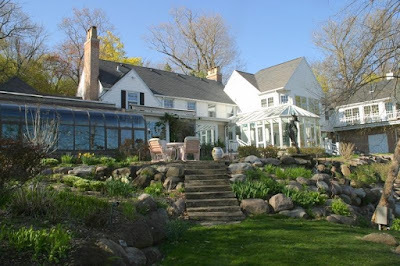 Listed originally at $2.6 million in 2007, the property finally succumbed to an offer price of nearly half that amount; $1,350,000; which compared to other offerings, was still a rich premium. The Museum House on North Shore lacking yard and privacy. 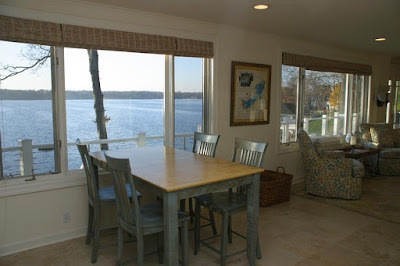 It is a pretty simple equation when trying to figure out what buyers of Delavan Lake access homes are looking for. They want a boat slip. They want a view. They want space for guests. And they want it all for a good value. Hopefully, $300,000 or less. A newly listed vacation property, at 4426 East Drive, offers all of these items an outstanding price of only $260,000. Located at the mouth of Brown's Channel, the property is just off the main body, yet has quality access, expansive views and room for visitors. The main level is set for entertaining with an open kitchen and eating area and cozy great room with a retro natural fireplace. There is also a full bath and laundry area. The upper level contains two small guest bedrooms and a large master suite. From the view of the master suite, you can take in the entire east end of Delavan Lake. The master also has a private bath and balcony that overlooks both Browns Channel and the main body. This home is part of the South Shore Manor Association so it also has access to a lakefront park, private beach and private boat launch that it reserved for members only. 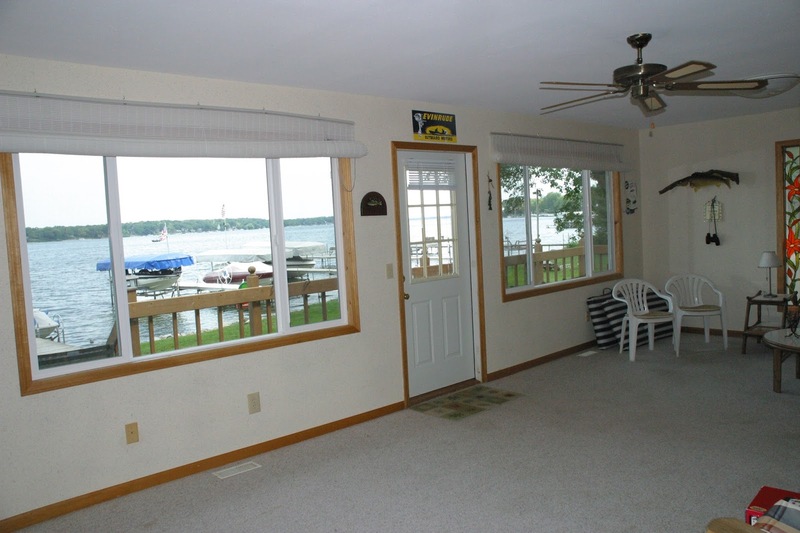 The property offers all the elements needed for a easy to use, easy to enjoy, lake access property.